Attendees visit an information table at the 2017 African Community Health Fair. 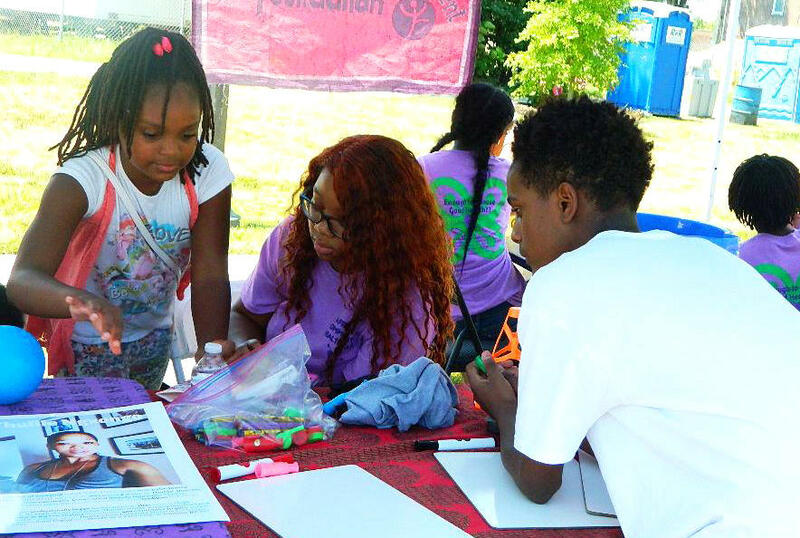 “[The fair] brings increased awareness of health risk to the community and direct access to health education,” event organizer Veronica Banks said. More than 25 health care organizations will be on-site, including CHIPS’ Community Health and Wellness Center, Planned Parenthood and Affinia Health. The fair will also feature Ojo the Storyteller and performances by the St. Louis-based group Ngonma in Motion, as well as holistic healing demonstrations. The goal, Banks said, is to encourage residents to take a more comprehensive view of their health. The African Community Health Fair is co-sponsored by Progressive Emporium & Education Center, Sudan Illustrators Inc, TEACH Society, Good Journey Development Foundation, McCormack Baron Salazar, Uhuru Lifestyles, Milele Evolving and Alderman Terry Kennedy, D-18th Ward. Time: 11 a.m. — 4 p.m.